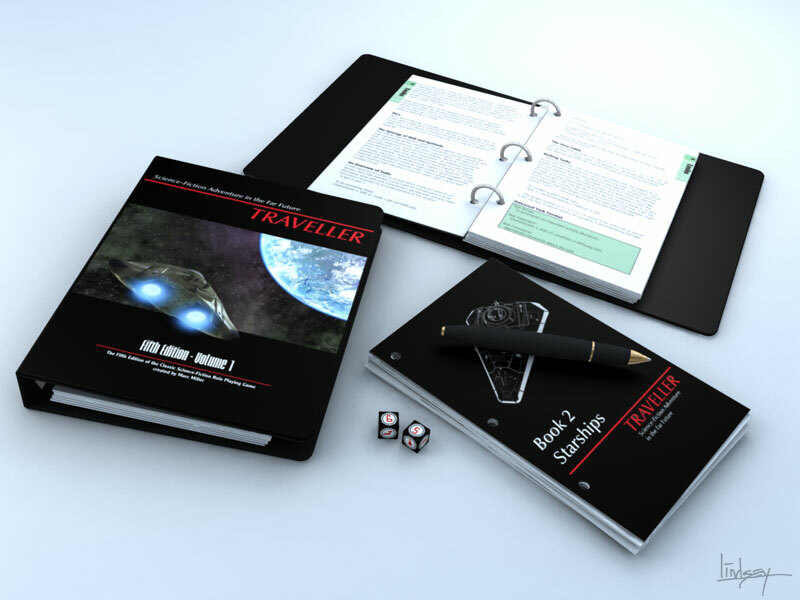 One of my earliest explorations into sci-fi role playing games was Traveller, designed by Marc Miller of Game Designers’ Workshop back in the 1970s. 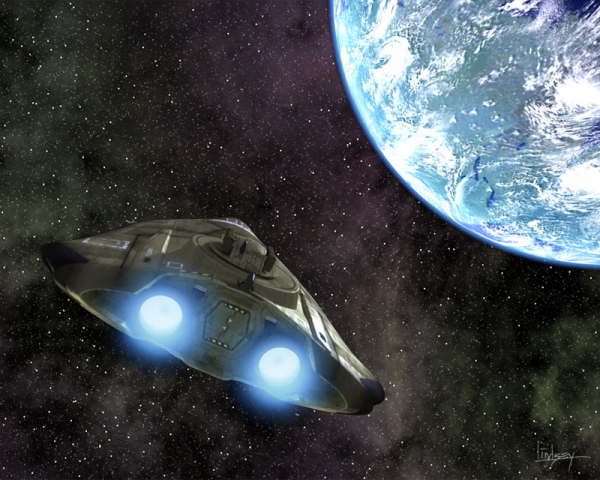 The Traveller universe is incredibly rich with a star-spanning galactic empire and a well-developed history and background that has continued to evolve and grow over the decades since its introduction. 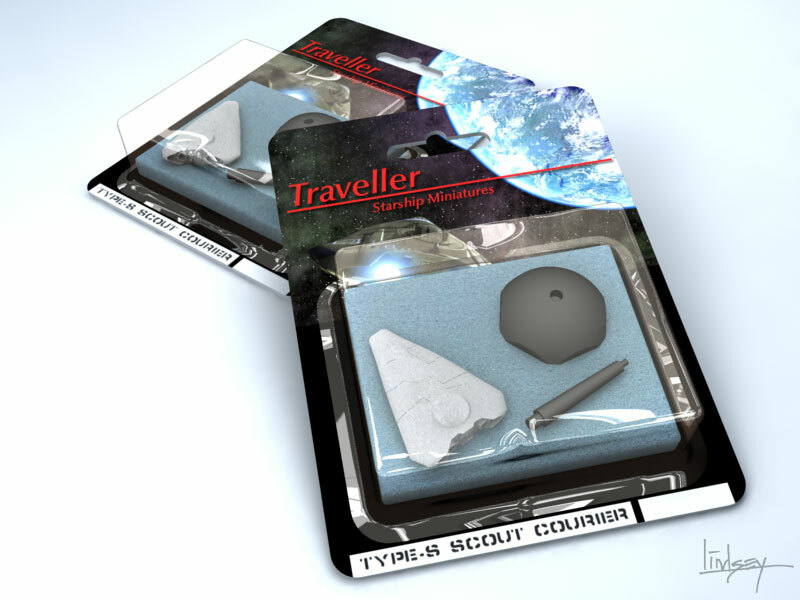 Over the years, I’ve contributed art for various Traveller publications. 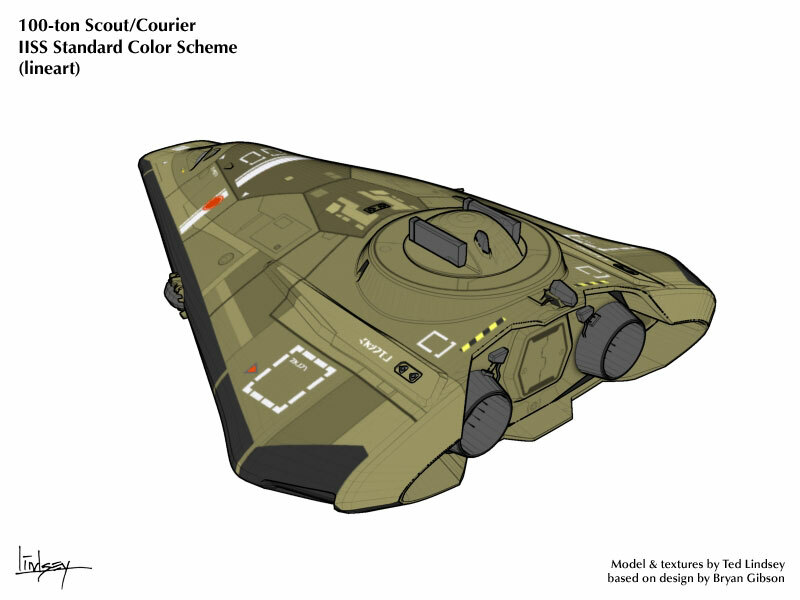 Most of the art shown below was for the GURPS Traveller line by Steve Jackson Games. 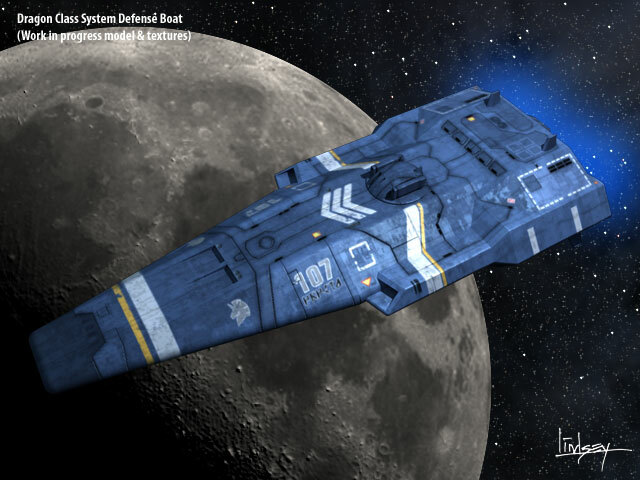 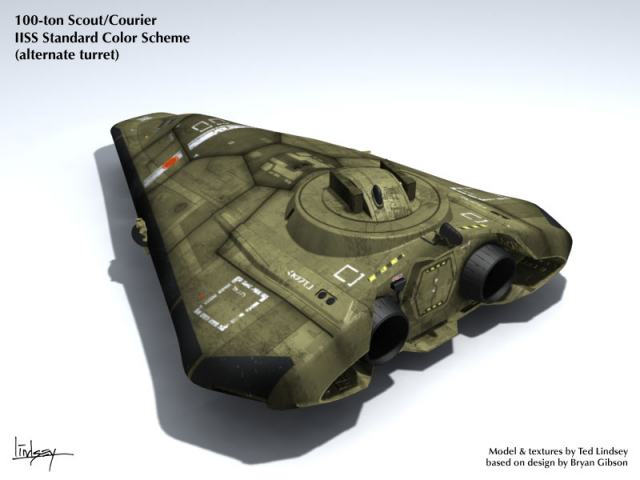 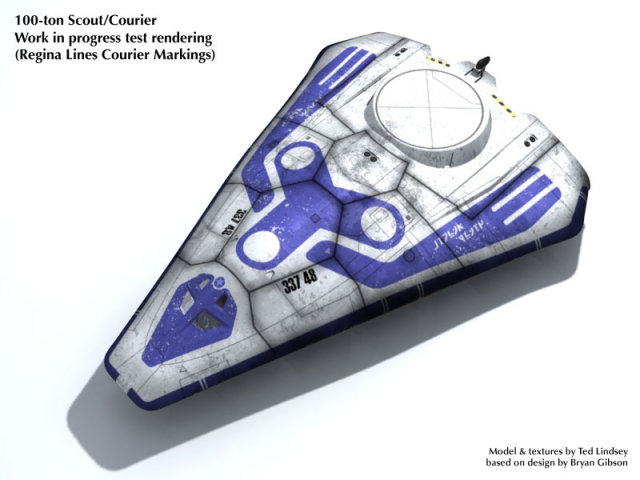 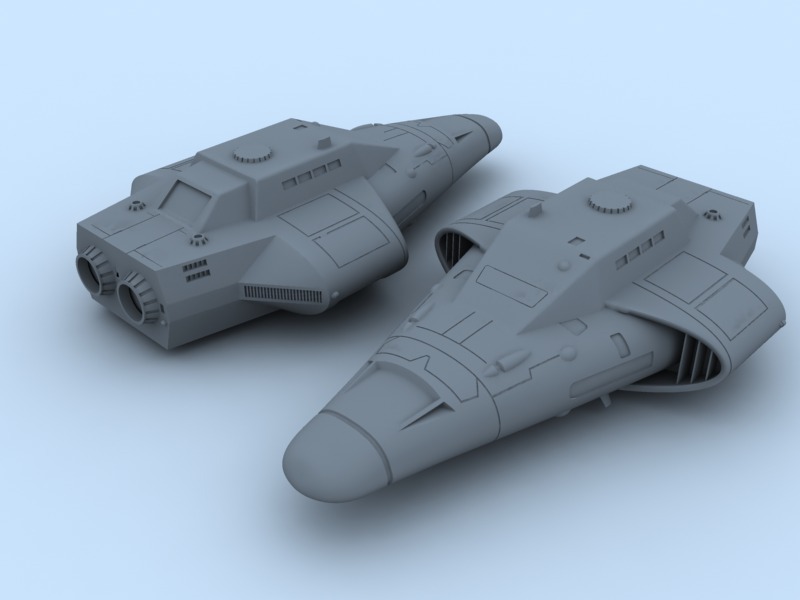 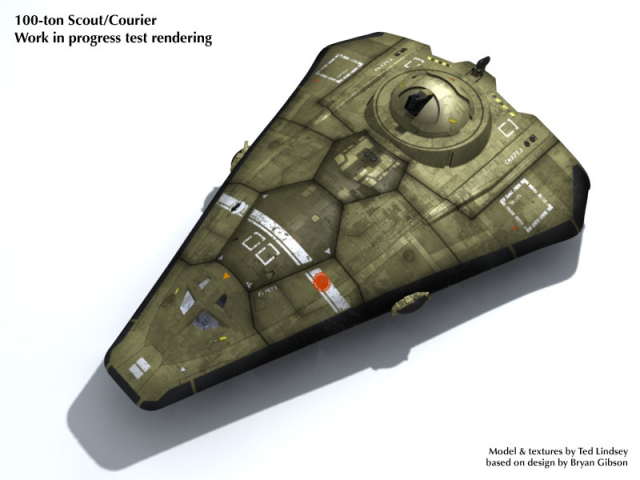 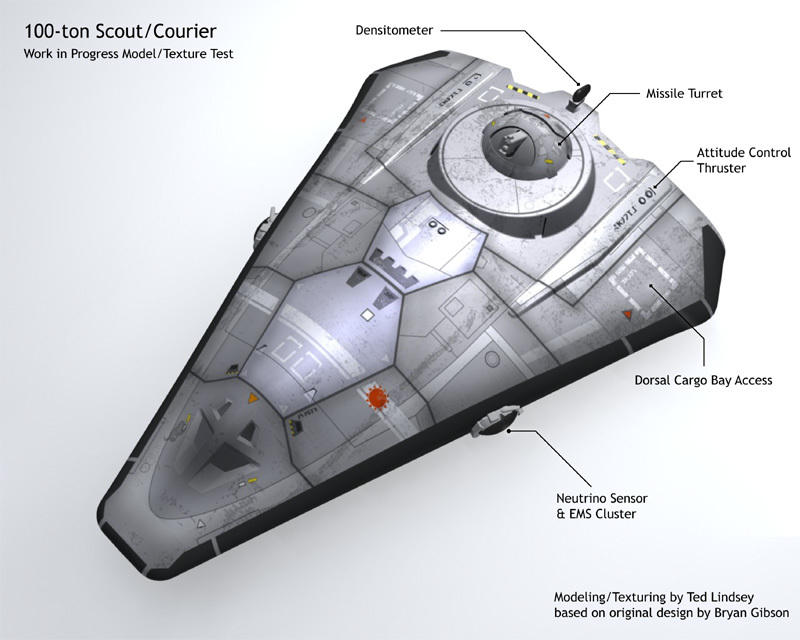 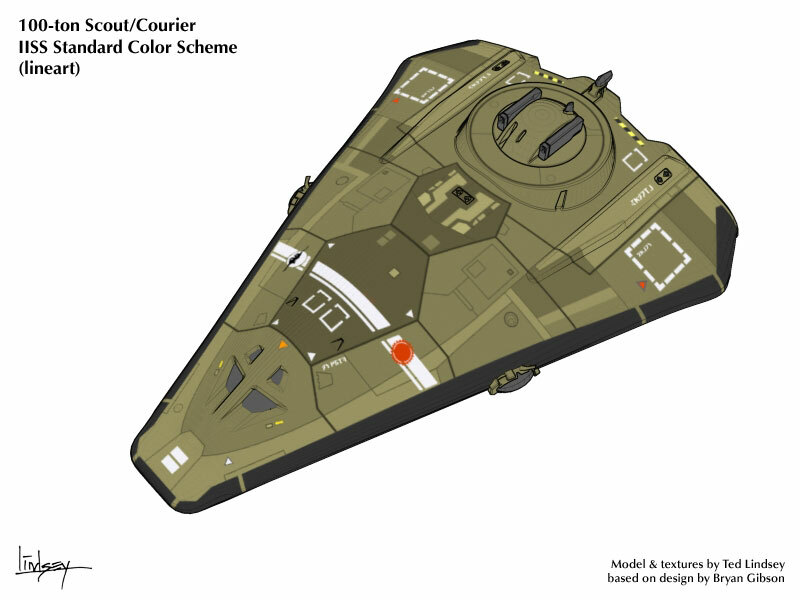 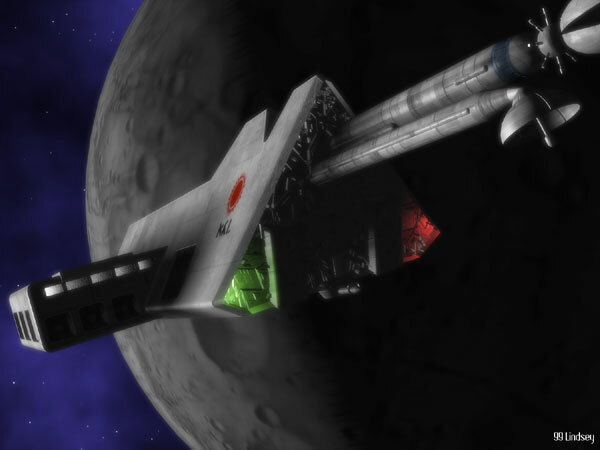 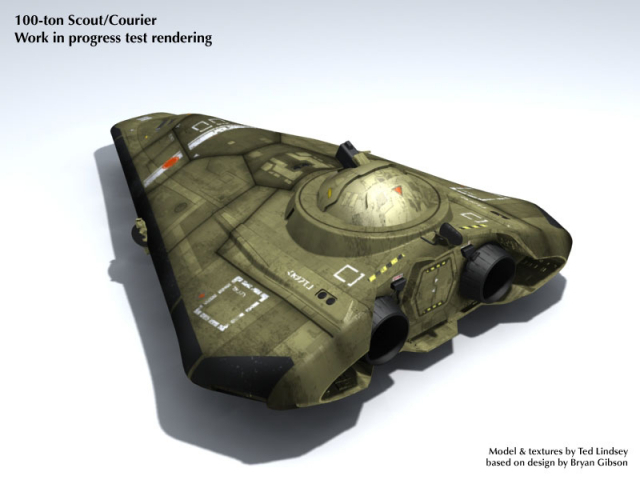 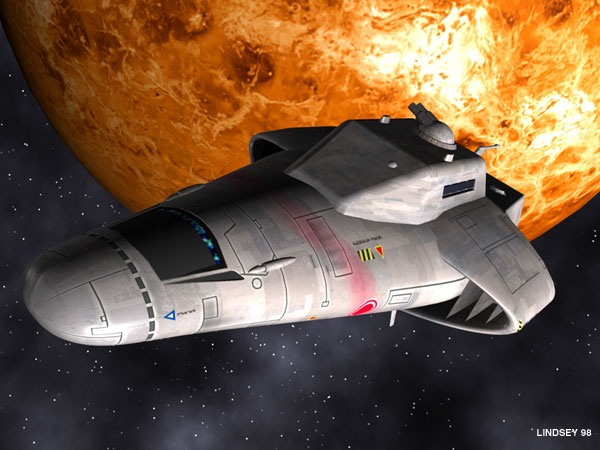 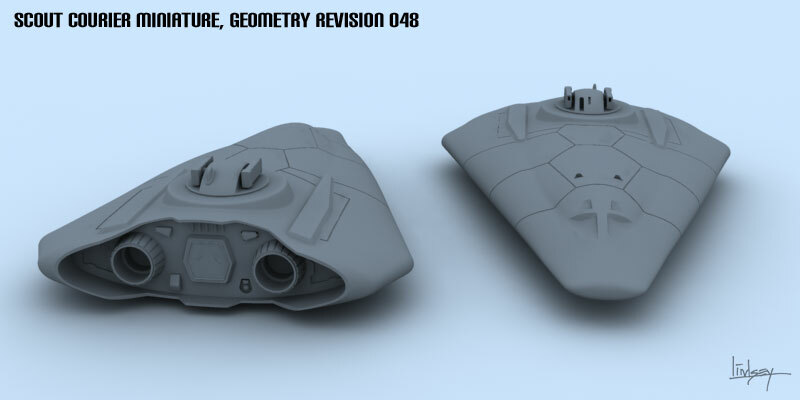 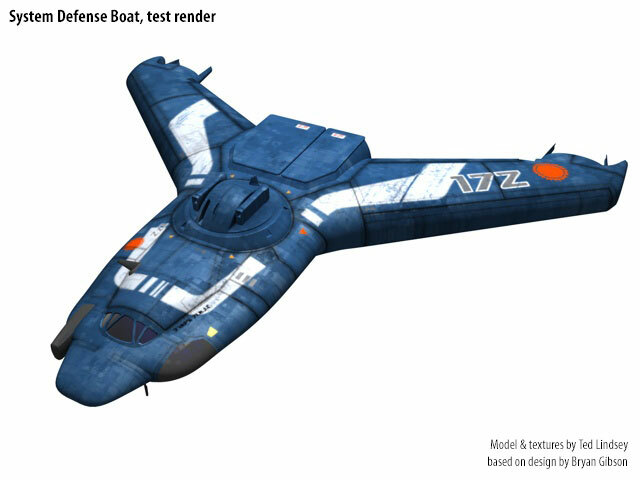 The renderings of the 3D starship miniatures were for the ill-fated Traveller Minis project around 2002-2005. 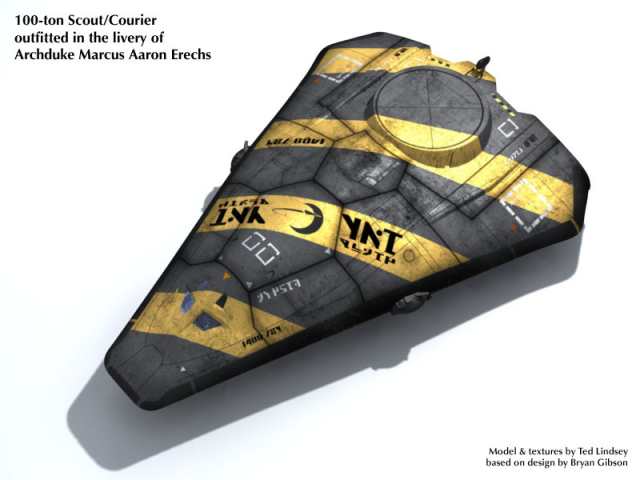 It was sort of a fund-raising campaign conducted online before Kickstarter was a thing. 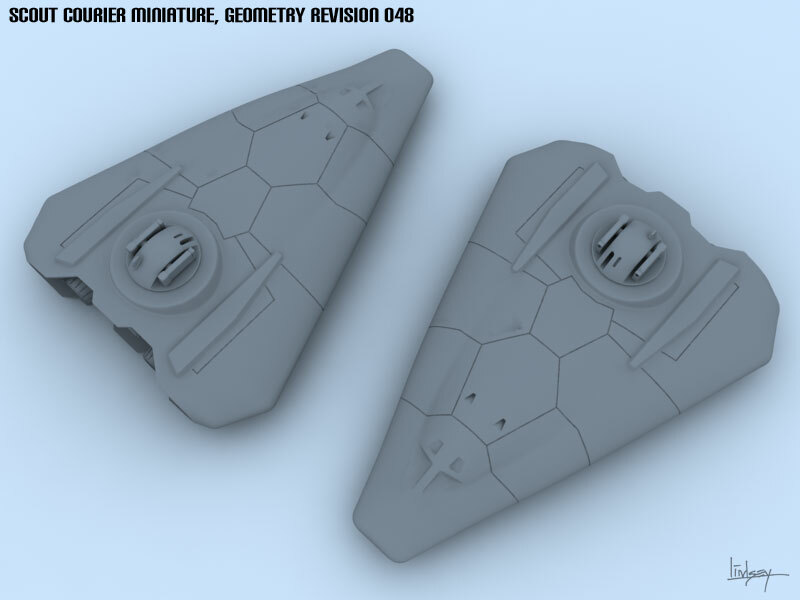 I did a lot of work for the project: creating 3D models suitable for fabrication, renderings, retail packaging mockups, etc. 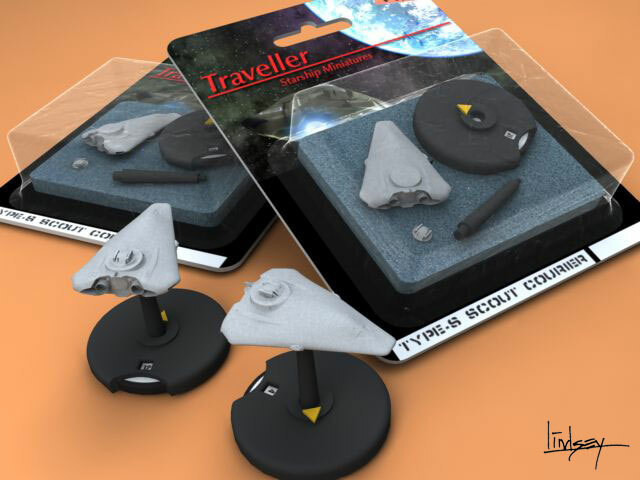 Unfortunately, the person leading the project didn’t seem to understand the nuances of intellectual property licensing or mass production of detailed miniatures, thus the entire project folded and I was stiffed along with all the supporters. 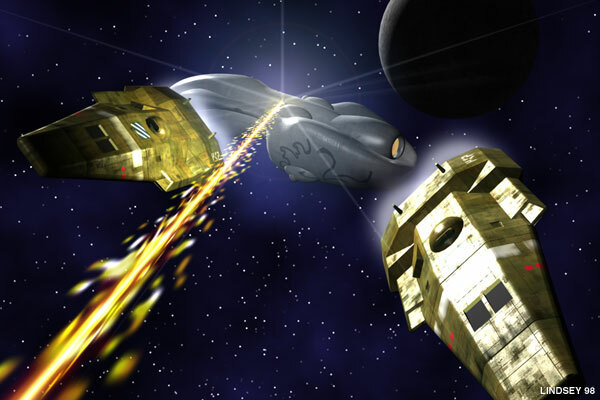 Most of the following work was done between 1998 and 2005.